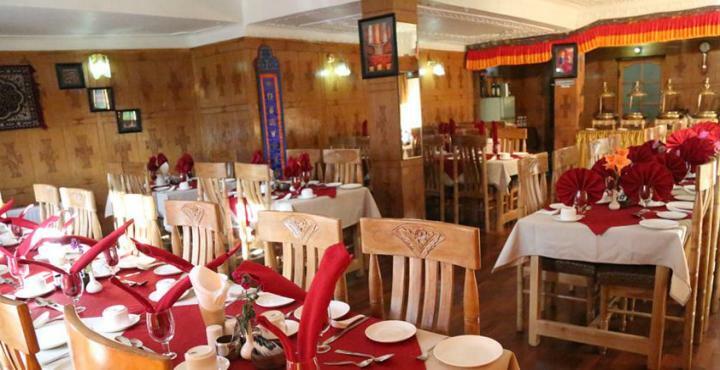 Hotel Royal Palace is located 4.2 km from Leh Kushok Bakula Rimpochey Airport, 429 km from Srinagar Railway Station and 1.1 km from Bus Stand. Some of the most prominent tourist places of the city, where guests can visit are Leh Palace (3 km), Shanti Stupa (5.8 km), Namgyal Tsemo Monastery (5.2 km), Spituk Monastery (6.9 km) and Thikse Monastery (16.8 km). Accommodation at the hotel is available in well-appointed rooms, that are tastefully decorated and fitted with contemporary amenities such as television, intercoms, direct dial telephone, room heater and bathroom with running water and all essential toiletries. Laundry Facilities, Internet/Wi-Fi, Family/Child Friendly, Backup Generator, Airport Transportation, Front Desk, Porter Service Available, Travel Counter, Doctor on Call, Restaurant. Complimentary Toiletries, Television Room, Dustbins, H/C Water, Shower Caps, Luggage Rack, Complimentary Newspaper, Cable/Satellite TV, Internet Access, Attached Bathroom. User reviews for "Royal Palace Hotel Leh"